Two ceremonial lamp posts are installed in front of the home of Edinburgh's Lord Provost during his Term of Office. When he demits office, one is removed but the other remains in position for the rest of his life. 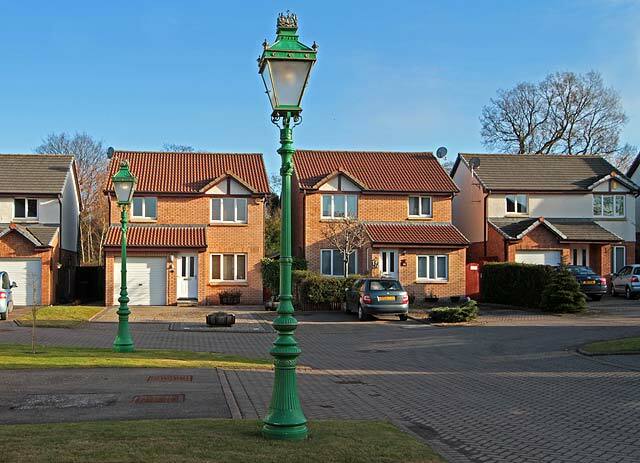 The photo above looks to the east along Wellhead Close towards the lamp posts outside the Lord Provost's house. - one each outside the homes of five former Lord Provosts.